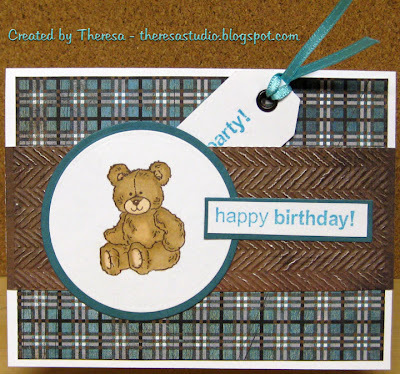 The Cute Bear Challenge which is Anything but Square ... AND include a tag. 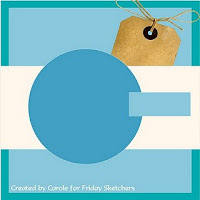 I followed the sketch from Friday Sketchers Blog which just happens to also include a tag. Scrap-Creations: Anything goes and use Basic Grey items. Nothing is better than a rescued bear... Love this, so darn cute! I really like the dp you used to, perfection! Great card GF! Really sweet card. Love your "rescue bear." Thanks for joining us at Just Cute Bears this week. Another cutie!! Let's shout out a Hip-Hip-Hooray to hubby for thinking to check out the clearance bin!!! an adorable teddy bear card! thanks for joining us at Just Cute Bears. Awww..This is so cute. Thanks for playing with us at Going Grey with Scrap-Creations. Wonderful card with a cute image!